It took some time for Skype to get rid of one of its oldest annoyances. Skype will finally enable message syncing across all devices. This should remove the troublesome job of going through all your old chat messages when you start Skype on another device. The syncing of chat messages across multiple devices was announced quietly among a host of other technical improvements which Skype plans to make going forward. Long time users of Skype however will welcome a move that was for a long time on everyone’s wish list. 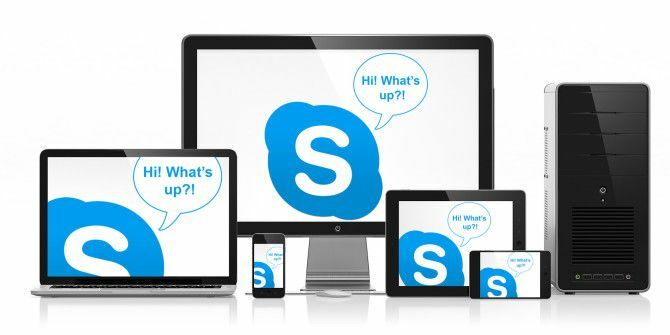 Jumping from using Skype on the desktop to another device, for instance a smartphone, often meant a long lag as the smartphone version of the chat software would again download the entire message history. This not only put a crimp on quick communication, but also led to the phone hanging if you were on a slow connection. We also know that people are engaging more and more with each other and with Skype across multiple devices at home, on the go, and at work so we are working to synchronize chat message status across all of your devices so you will know the current status of all of your chats on every device you use to interact with Skype. This capability will be rolling out across clients over the next few months. Microsoft has put in the yards to improve the Skype experience after acquiring it, and the announcement post alludes to a battery-saving “sleep” mode where the Skype cloud infrastructure will handle the load. But for now, most users would be happy with the message sync. What about you? Explore more about: Chat Client, Skype. As useful as it is to have the chat history synchronized among devices, that also means that messages will be stored in Skype/Microsoft's servers, raising concerns about privacy. I guess one can't have cloud syncing of anything without... well having data in the cloud. I hope the messages are stored encrypted.